Visit the park! Soak up as much information and inspiration as you can. If you plan to come to Russian Gulch and other units of the California state park system frequently, buy a parks pass—an excellent way to save money and support state parks. 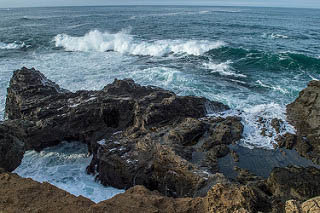 To volunteer your time to assist visitors at Russian Gulch or other Mendocino area state parks, call the Mendocino Sector Office at (707) 937-5804 or write to Mendocino State Parks, 12301 N. Hwy. 1, Box 1, Mendocino, CA 95460. To volunteer in another California state park, call 916-653-9069 or email the state’s volunteer.inparksprogram@parks.ca.gov.